Umar Farouk AbdulMutallab faces "the most serious charges available," a U.S. attorney says. (CNN) -- The suspect in the failed Christmas Day bombing of a U.S. airliner faces a six-count federal indictment issued Wednesday, including an attempt to murder the other 289 people aboard. The seven-page indictment charges Umar Farouk AbdulMutallab of attempted use of a weapon of mass destruction; attempted murder within the special aircraft jurisdiction of the United States; willful attempt to destroy and wreck an aircraft within the special aircraft jurisdiction of the United States; willfully placing a destructive device in, upon and in proximity to an aircraft within the special aircraft jurisdiction of the United States; and two counts of possession of a firearm/destructive in furtherance of a crime of violence. If convicted, the 23-year-old Nigerian national faces a sentence of life in prison. The indictment said AbdulMutallab boarded Northwest Airlines Flight 253 in Amsterdam, Netherlands, on December 25, carrying a concealed bomb concealed in his clothing and designed to be detonated "at a time of his choosing." Authorities say the bomb components included Pentaerythritol (also known as PETN, a high explosive), as well as Triacetone Triperoxide (also known as TATP, a high explosive) and other ingredients. The indictment said that, just before the jet landed at Detroit Metropolitan Airport in Michigan, "AbdulMutallab detonated the bomb, causing a fire on board flight 253." The device failed to fully detonate, instead setting off a fire at the man's seat. He was subdued and restrained by the passengers and flight crew. The airplane landed shortly thereafter, and he was taken into custody by U.S. Customs and Border Protection officers. AbdulMutallab required medical treatment and was transported to the University of Michigan Medical Center after the plane landed. Explosives expert Sydney Alford said AbdulMutallab probably used a liquid contained in a syringe to mix with a chemical he was carrying to create a fire, which was intended to ignite the TATP. That, in turn, was to detonate the PETN. But the TATP did not ignite as planned, he speculated. TATP has been cited in several terrorism cases. Najibullah Zazi, the 24-year-old Afghan citizen and U.S. resident who was arrested in September and accused of planning to carry out terrorist acts in the United States, was allegedly trying to make TATP in his motel room in Denver, Colorado. A new indictment against Richard Reid specifies that the convicted shoe bomber also used TATP. Judge Nancy Edmunds is assigned to the AbdulMutallab case and will preside over court proceedings, said Gina Balaya, spokeswoman for the U.S. Attorney, Eastern District, Michigan. The case was presented Wednesday to the grand jury, which determined probable cause to indict. Though arraignments are typically held by a magistrate judge, Edmunds may decide, based on the special circumstances and high-profile security related to the AbdulMutallab case, to handle the matter herself, Balaya said. 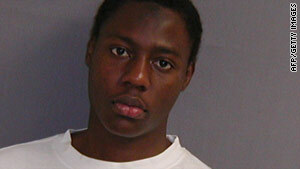 Edmunds is expected to decide Friday on details for the arraignment and AbdulMutallab's detention, Balaya said. Attorney General Eric Holder said the investigation "has already yielded valuable intelligence that we will follow wherever it leads." "The attempted murder of 289 innocent people merits the most serious charges available, and that's what we have charged in this indictment," said U.S. Attorney Barbara L. McQuade, U.S. attorney for the Eastern District of Michigan, who is in her first week on the job.